When Theresa May called a snap General Election a few weeks ago, the consensus was that it was a slam-dunk for the Conservative Party. The pollsters predicted a landmark victory with an overall majority of up to 96 seats for the Tories. But instead of the landslide victory that she had hoped for, the nation handed Mrs May a hung parliament. 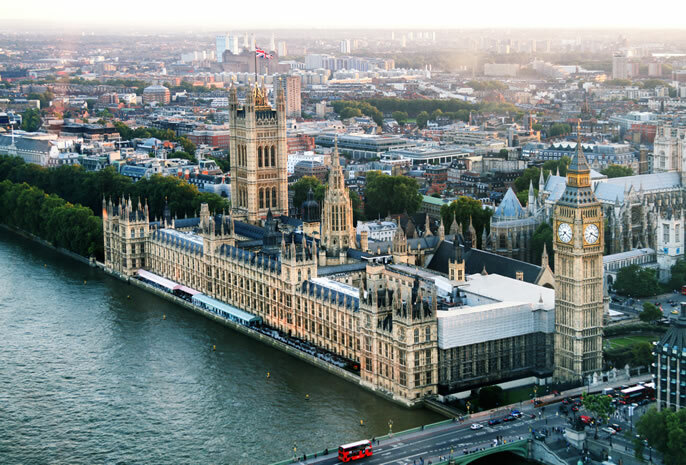 The Conservatives remain the largest single party and have formed a minority government but they’re being forced to rely on the support of the Northern Irish Democratic Unionist Party to get key policies through the Commons. Mrs. May called the election to strengthen her mandate in the Brexit negotiations. The fact that she has lost her majority has weakened her position, leading to suggestions that a ‘hard’ Brexit is less likely. So far, the capital markets have responded positively to the news of a hung parliament. Despite the uncertainty caused by no clear majority, the stock market hasn’t nose-dived. The FTSE initially rallied slightly, in part due to a fall in the pound. Downward shifts in the value of the pound often result in a boost for UK companies. We saw this last year following the Brexit vote. Can you believe it is now a year since the referendum vote? A common question in times like this is, what is the likely impact of politics on the stock market and our investments? The answer is, over the long term, not as much as you might think. The chart below shows the growth of £1 invested in the UK equity market over more than 60 years. That includes 12 prime ministers, from Anthony Eden to Theresa May. Over the long run, the UK equity market has provided substantial returns regardless of who lives at Number 10. Source: Dimensional Funds Advisor. For illustrative purposes only. Past performance is not a guarantee of future results. The index is not available for direct investment. Therefore, their performance does not reflect the expenses associated with the management of an actual fund. Dimensional indices use CRSP and Compustat data. See “Index Descriptions” in the appendix for descriptions of index data. There is no doubt that we’re living in a time of heightened political and economic uncertainty. There are now talks of a possible leadership change within the Conservative party and another election within the next year or so. And as we witness the Brexit talks, we can expect noisy predictions from the pundits. We’ve done a painstaking job of building globally diversified portfolios for our clients. We invest in a wide range of asset classes, not just in the UK but globally. While it’s impossible to be completely immune to any such political and economic instability, diversifying globally means that we’re not overly exposed to it. Our portfolios are by their very nature designed to weather tough market conditions. We’ve also worked with each client, to ensure that their portfolio is well-suited to their objectives and risk tolerance. A decline in markets may not feel good, but if you have a portfolio you’re comfortable with, stick to a plan that you’ve agreed in advance and review it on a regular basis. It can help to stop emotional reactions which never work well when it comes to investment strategy. Accordingly, we encourage you to keep the focus on the longer term, rather than pay attention to short-term market movements. While there is uncertainty about the future, particularly as the UK leaves the EU, we must remember that long-term investing demands faith in our capital system.